This is the year to make big changes! According to the KonMari Method, we should let go of everything that does not serve us anymore. Letting go is a very important element – discarding old physical and mental clutter is going to leave you feeling light, liberated and ready for your fresh start. Get rid of these 5 things in 2017 to kick start the new you! The number 1 thing to get rid of in 2017 is guilt! Not only does it not serve a purpose, it can also prevent you from going after your dreams! Unfortunately, guilt is an emotion that kicks in easily, whether it be you feeling responsible for something that went wrong or seems not good enough, or someone guilt tripping you. We feel guilty for not working hard enough, for not spending enough time with our friends and family, for not being the perfect parent, daughter, son, friend, child, you name it. The problem with guilt is that it affects your way of thinking about yourself – which as a consequence can also have a negative impact on your actions. If you keep telling yourself that you should do more, or do better, you subconsciously determine yourself as powerless, wrong or not enough. Although is it not easy to break this vicious cycle, it is important to understand that feeling guilt itself will not bring the change you want. Rather than spending too much time criticizing yourself for the smallest things, you should acknowledge that you are doing everything you can. This form of self-empowerment will help you to not lose your motivation and perform as well as you can in every aspect of your life. So stop undermining your own performance and drop the guilt! You can also check out this step by step guide from WikiHow on “How to eliminate guilt”. In the New Year, DO YOU (minus the guilt-trip)! One of the easiest changes with a big impact is to get rid of plastic bags! Their negative impact on our environment should be reason enough to say good bye to those plastic monsters. Not only does their production use precious natural resources, they can also cause pollution of our oceans. They never break down completely, which makes them pile up in our landfills and can costs our cities millions to clean them up from our streets. And did you know that a plastic bag is only used for an average of no more than 10 minutes? Looking at the way they are produced and the pollution they case, this does seem like quite a waste. It is not surprising that more and more cities are working on banning these bags for good. Until then, you can start with small changes on your end to break the cycle – Switch to reusable bags! Pick one or two reusable bags that you really like and use them from now on. You can even order them with prints you love. Not only will you enjoy using them, you will also prevent your home to become cluttered with numerous plastic bags that you keep “for next time”. Chances are – you’ll find dozens of plastic bags in your home that you will never re-use. A common occurrence when we declutter our homes are those items that we “might need one day”. Although we haven’t used it in years, we are convinced that one day, we will for sure need it and it would be a waste to discard it now and having to re-purchase it in the future. Items of that category are usually some sort of objects that might have a practicality to them, but that end up spending their time in the back of the cupboard: think the pasta machine you bought 5 years ago or that one cable that you cannot associate with a device but that “probably has a function”. And god forbid that one day you want to connect your laptop to that other device (anything can happen, right?) and you are missing the cable! Or what if you have guests and want to make that really specifically shaped pasta for them that you could never ever find at the store! A catastrophe, no? Well, the reality is, and according to Marie Kondo, “that one day never comes”. If you haven’t started using it by now, chances are you never will. Don’t feel guilty of discarding those items. Having them sit on your shelves, knowing you are not making any use of them probably makes you feel worse than making the decision to let them go. In fact, letting these items go can be quite a liberating experience. 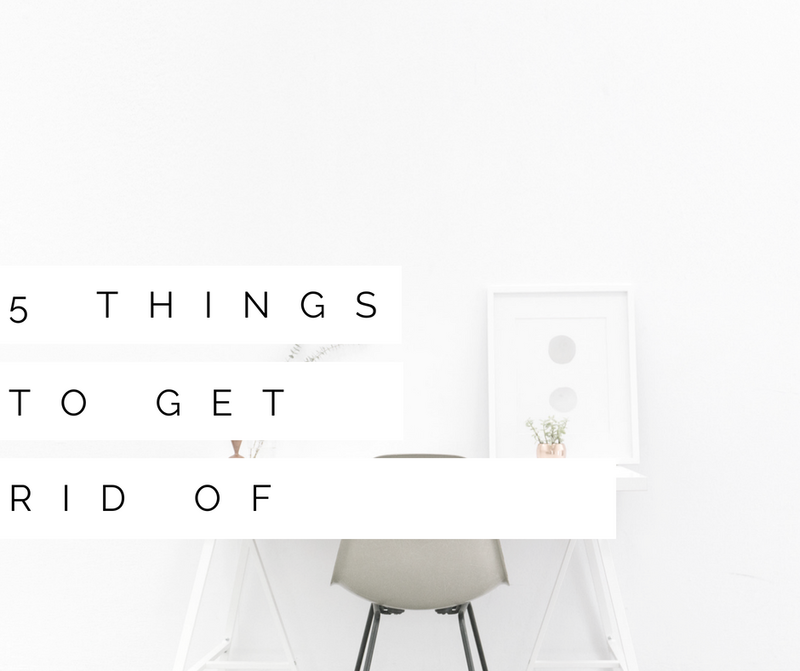 Think of it this way – what is more important: the newly decluttered space that is tidy, that lets you breathe and relax, or the slight chance that you will have to order a new 3 Dollar cable on Amazon. Clutter does not always have to be physical. Just as our homes, our minds can accumulate clutter over time, making it hard to focus and think clearly. One of the reasons for a cluttered mind can be relationships that bring us down instead of bringing us joy and uplifting us. Whether it be that one friend that won’t stop complaining, an overly gossipy neighbor, or that one acquaintance that just seems to drain the energy from you. Fact is – not all people are compatible and trying to make it work at all costs can leave you drained and unhappy. You cannot influence other people’s character, but you can influence how you react to them. Not engaging in behavior that makes you unhappy and contradicts your own values is the first step in getting rid of those toxic dynamics. Counter-reacting with positive energy and outlook on life is a very good way to distance yourself from the things that bring you down. And most importantly, you should never feel guilty of doing what is best for you! Time to let go of that mental clutter! According to Marie Kondo, there are only two reasons why people are having a hard time letting go of an object that no longer serves a purpose: either attachment to the past or fear of the future: “…when we really delve into the reasons for why we can’t let something go, there are only two: an attachment to the past or a fear for the future.” (The Life-Changing Magic of Tidying Up: The Japanese Art of Decluttering and Organizing). Both is bad because it fills us with dissatisfaction and worries. If we keep an item around just because it reminds us of the “good old days” compared to the unsatisfying life we have at the moment, we will go deeper into that kind of thinking, constantly dwelling on what was, instead of what can be. If we worry about the future, we already limit ourselves and our actions, which prevents us from planning and creating the very best future we can achieve. Living in the present moment is also an important element in Buddhism and is a very good way to prevent unnecessary worrying and making the best out of what’s now. Therefore, what Marie Kondo demonstrates through the example of physical objects in her KonMari Method, can be applied in a more general, abstract sense in our lives. This year, start living in the present moment! Are you planning to get rid of some of the items mentioned in this blog post?